Baking, one of the oldest professions in the world, is a very dynamic and innovative culinary technique used for making bread and confectioneries. Baking is the process of cooking food through dry heat which is usually done in an oven, hot ashes or hot stones. It is a specialised field which requires a thorough understanding of cooking techniques and sticking to precise recipes. As a profession, baking is getting more and more popular, since cutting a cake has become customary for every auspicious occasion whether it is a small gathering or large function. Nothing excites consumers more than tempting sweets and beautiful desserts. Baking profession combines both art and science. Baking is a career that demands lots of creativity, commitment and passion for food. It is an exiting career for those with an intrinsic interest in cooking, have natural culinary talents, artistic skill and social nature. Bakers are skilled, creative and innovative professionals who specialize in the manufacturing of various kinds of cakes, bread loaves, biscuits, bread rolls, pies, cookies, tarts, brownies, muffins, pastries etc. These artisans develop new recipes, direct bakers and prepare foodstuff in correct and accurate proportion. But being a baker is not as simple as it seems. Rolling and shaping the dough into final product and baking at proper temperature. Observing products as they bake for colour, shape etc. They are also responsible for selecting icing, toppings of the products. One can carve a niche in this field by implementing own innovation to his/her basic knowledge of baking and by trying out more innovative products and techniques. For skilled bakers, there are lots of options to travel overseas and earn money. Even though no formal educational qualification is required, one needs some basic training in baking, icing and decorating. This is because baking demands the right mix of ingredients and even small changes to baking recipes could ruin the dish. So to excel in the field of baking and to enhance current skills, one can enroll for any bakery and confectionery course offered by various hotel management institutes located across the country. These institutes offer certificate, diploma and degree courses specializing in food and beverages. For providing better job opportunities for their students, certain institutes have tie ups with foreign varsities. Admission to the 3 year hotel management degree program in any recognised Institute of Hotel Management (IHM) in the country is through a Joint Entrance Examination (JEE) conducted by National Council for Hotel Management and Catering Technology (NCHMCT). 10+2 or equivalent in any stream in the minimum qualification required to appear in this exam. Aspirants can go through this channel, and after completing their degree, they can opt for some specialized Certificate course in bakery and confectionary. There are several private colleges that provide admission on the basis of the marks obtained in 12th standard. One can also make a career in the baking field by joining short term certificate or diploma courses in bakery and confectionary. The duration of these courses may vary from 4 to 6 months and students who have completed their class 10th/ 12th with good grades are eligible. There are vocational training schools providing training programs such as vocational Diploma (DEP) in bakery and pastry making, vocational specialization (AVS) in restaurant pastry making, etc. 10th standard is the minimum requirement for joining these courses. Most baking and confectionery courses cover topics such as nutrition, food service safety and sanitation, baking principles, operating and maintaining machinery, production processes and establishment and management of bakery unit etc. Students will receive extensive training in menu planning, purchasing, baking, advanced hospitality management and supervisory management. Through these courses, students will learn to mix and measure ingredients with industrial equipments for producing baked goods. They can also gain specialized skills related to cake decoration, pastry techniques, sugar artistry, pairing, plating and more. Awareness of safety and hygiene regulations. Besides these, one should have an experimental mind for developing new varieties which will enable to leave your mark on baked dishes you create. Job opportunities are excellent for skilled bakers especially abroad. A degree or a certificate course in bakery and confectionery programs or a degree in hotel management serves as the best route for progression in this profession. Most bakers enter the baking profession by working as apprentices or on-the-job trainee at commercial bakeries, patisseries or supermarkets under the wing of an experienced baker. This will always help for gaining exposure in baking profession and one can progress into a full-fledged baker as soon as they learn food handling and baking techniques. Plant Bakers : Plant bakers manufacture large quantities of baked goods using machinery such as mixers and ovens. They produce baked goods for shops, supermarkets and other large customers. In-store Bakers : In-store bakers work in a retail store and produce bread and baked goods using automated machinery. They are also likely to be trained in baking craft skills. Craft Bakers : A craft baker may specialize in a certain type of bread or baking process. Craft baker creates a smaller amount of products for consumers. They do much of the work by hand. They are usually employed by a small-scale, independent bakery or a restaurant kitchen. Institutional and cafeteria baker, etc. Whether working in a small bakery or a multinational company, all the bakers have to perform more or less similar task. Bakers supervise the whole production process of an item from the very start to the time the product is ready to serve or deliver. Apart from baking, bakers are also responsible for selecting the equipments as well as technology to be used in the production process. The job openings for a baker range from hotels, restaurants, caterers, supermarkets and bakeries to grocery stores and baking manufacturing companies. The roles and responsibilities of a baker varies considerably depending on the type of bakery employing the individual. Most bakers are employed in commercial or industrial bakeries that manufacture large quantities of baked goods while some work in small craft retail bakeries that produce small quantity of products such as patisseries, cakes, etc. Bakers can further move on to positions like specialist technical advisors, food columnists, caterers, test bakery or laboratory technicians, plant supervisors, instructors, food researchers and television celebrity chefs. One can also set up their own bakery business venture and it can be done in a small or large scale. Now a home based baker can easily advertise his/her product by posting mesmerizing pictures and information on social networking sites. Those who specialize in baking cakes need to communicate with clients to make their wishes into something real. Lucrative job openings are available overseas for experienced professionals. They can join in various cruise lines and airlines abroad as chefs in the stream of bakery and confectionery. The work schedule for bakers vary greatly depending on the employer they work for. They tend to work odd hours, including early mornings, late nights, weekends and holidays. Bakers sets the schedule for the entire baking kitchen, including extensive planning involved in dough rises, rests, second rises, forming and baking, all on specific time schedules. Remuneration in baking field mainly depends on experience, qualification, business segment and location. In India, the average starting salary of a baker is Rs. 10,000- 13,0000 per month. Experienced and renowned personals can make any where between Rs. 35000 to 50,000. Those working in upscale restaurants and bakeries can earn higher salaries and also receive benefits such as paid sick leave and health insurance. Additional income may be earned for working overtime or shifts. Home bakers can earn anything between Rs 8000 to 15000 per month. 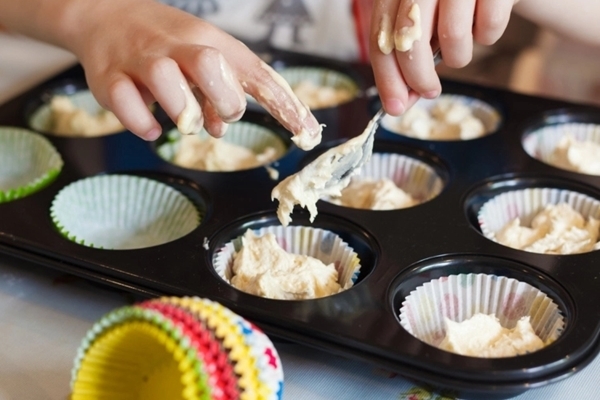 Successful entrepreneurs who have their own bakery can earn more money than others. They can make profits of about Rs. 2 lakh to Rs. 3 lakh in the busiest season. At the initial stage, those who work abroad can earn more than Rs 40,000 per month. For institutes offering courses in bakery and confectionary, click on the following links.